Nathan Tenney is a dynamic and charismatic trial lawyer who devotes his energy to serving, counseling, and defending various types of organizations in complex, high-stakes commercial, employment and labor, ERISA and employee benefits, and data breach and privacy matters. Nathan understands—and, more importantly, knows how to attack—the evolving, increasingly difficult legal and business challenges his clients face every day. Although the challenges may be similar, he doesn’t use a one-size-fits-all approach when counseling and representing his clients. Instead, he creates a custom-tailored strategy and action plan based on each individual client’s needs, goals, and best interest. Nathan ensures that he has a deep understanding of his clients’ business, industry and culture, what makes them tick, their sensitive points, and what they ultimately care about. Nathan has comprehensive experience in all aspects and stages of litigation, from pre-litigation counseling and investigation to serving as lead counsel at trial, mediation, and on appeal. His incomparable work ethic and meticulous preparation make him both a formidable opponent and a trusted ally. Nathan adds value to his clients by providing sound and effective legal analysis and advice that fits squarely within the context of their respective businesses and industries. He has represented national and international clients in federal and state litigation pending in various jurisdictions, including Arizona, Alabama, Arkansas, California, Florida, Georgia, Illinois, Iowa, Kansas, Massachusetts, Missouri, Nebraska, New Jersey, New York, Ohio, Oklahoma, Tennessee, Texas, and Washington. 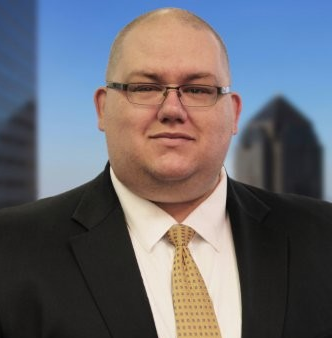 Before practicing law, Nathan gained more than 10 years of business experience working for multiple Fortune 100 companies in various roles, including sales, advertising, marketing, management, legal compliance, and finance. During this time, he received a real-world, hands-on education on how successful organizations operate, thrive, and sustain. He regularly relies on this invaluable experience when advising, counseling, and representing clients. *Not currently licensed in Utah state or federal courts. Admission pending. Location, Location, Location: The Nebraska Supreme Court Impermissibly Restricted the Special-Need Exception to the Warrant Requirement in J.P. ex rel A.P. v. Millard Public Schools (case note), 47 Creighton L. Rev. 167 (2013).